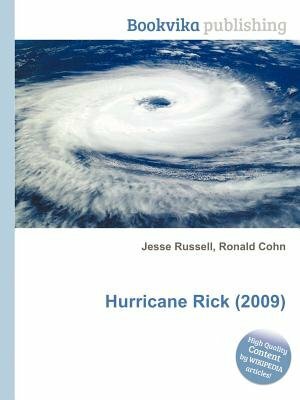 High Quality Content by WIKIPEDIA articles Hurricane Rick was the second-most intense Pacific hurricane on record and the strongest ever to form during October. Developing south of Mexico on October15, 2009, Hurricane Rick traversed an area favoring rapid intensification, allowing it to become a hurricane within 24 hours of being declared a tropical depression. An eye began to form during the afternoon of October16; once fully formed, the storm underwent another period of rapid strengthening. During the afternoon of October17, the storm attained Category5 status on the Saffir-Simpson Hurricane Scale. Several hours later, Rick attained its peak intensity as the second-strongest Pacific hurricane on record with winds of 180mph (290km/h; 156kn) and the barometric pressure bottomed out at 906mbar (906.00hPa; 26.75inHg).